Having spent the entire day gallivanting around with my sweet and very patient wife running errands and having fun on her much-deserved day off I returned to find that the Charter gremlins are back in business. In a press release that hit my in box shortly after 2:00 p.m. today, Costa Mesa Director of Communications, Bill Lobdell, informed us that the first of two required public hearings on Jim Righeimer's Charter before it can be placed on the November ballot will be held - are you ready? - on the date of the June 5th Primary Election. That was the ballot that the City failed to get this disaster on due to a couple of major administrative gaffes. So, it looks like at least a few of the voters in this city will actually have a chance to "consider" it, but only if they find time after working, dealing with family matters and voting! The scheduling of this hearing on this date is very interesting since it is VERY likely that we will still be wrestling with a budget at that time. Who knows where THAT issue is going to go now that Righeimer has fabricated a crisis and will be expecting the staff to find dollars where there are none for projects that are much less critical than keeping our streets safe. COSTA MESA, CALIF - The City of Costa Mesa has set June 5 as the date for the first required public hearing to consider a proposed City Charter, or local constitution, for the November ballot. The public hearing will be part of the regular City Council meeting scheduled to begin at 6 p.m., and will be heard at 7 p.m. or soon thereafter. The City of Costa Mesa conducted a similar public hearing process earlier this year before the City Council voted to place a charter—which transfers ultimate authority over municipal affairs from Sacramento to the local level—on the June 5 ballot. However, the City Clerk failed to meet a filing deadline established by state statute, and Orange County Registrar of Voters was unable to place the measure on the ballot. A required second public hearing to consider the charter for the November ballot is scheduled for July 10, and the City Council will vote on whether to put the charter measure on the Nov. 6 ballot at a special Council meeting scheduled for July 31. Next week, the City will have a “Charter” tab on its website that will link to the Costa Mesa charter approved by the City Council in March; a nonpartisan League of California Cities primer on charters; charters from other cities; a timeline for the process in Costa Mesa; and a list of the 120 California charter cities, which include Newport Beach, Huntington Beach, and Irvine. The home page will also have a “Weigh In on the Charter” button, providing an online form for charter comments that will be forwarded to Costa Mesa’s five council members, city attorney and chief executive officer. OK, I've calmed down a little bit now, so here's some of the pertinent details of the Street improvements planned for the Eastside over the next few months that five dozen of my neighbors heard about Wednesday evening. These projects fall within the area shown on the image immediately below. Click to enlarge the image. Grind uplifted sidewalk (up to one inch). Construction of a catch basin at north-east corner of the intersection of Tustin Avenue and Costa Mesa Street and underground storm drain pipe from Costa Mesa Street to 19th Street. Construction of intersection chokers, midblock medians, sidewalk on both sides of the street, drought tolerant and low maintenance landscape and mill and Asphalt Rubber Hot Mix overlay the pavement. Landscaping the existing median on Irvine Avenue from 17th Street to 19th Street. Mill and overlay the existing pavement on 15th Street from old Newport Boulevard to Redlands Avenue, which includes reconstruction of wheelchair ramps per the latest Americans with Disabilities Act criteria. Ever been hijacked? No? Well I have! Last night I, along with five dozen of my neighbors, had our meeting hijacked by two political opportunists with a personal agenda. Yesterday evening I, and about 60 of my Eastside neighbors, attended the presentation by Public Services Director Ernesto Munoz and his outstanding team of the pending infrastructure improvements scheduled for our side of town. 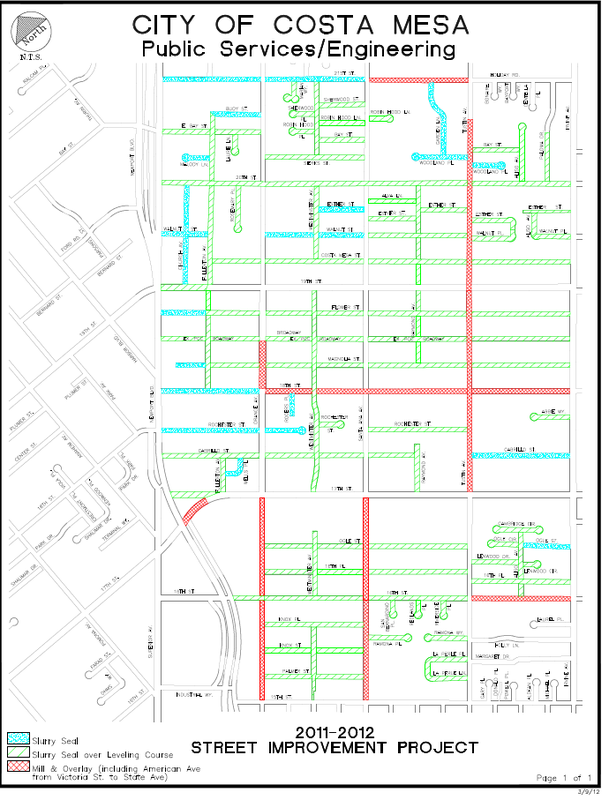 I've written about this before, but, in a nutshell, more than $8 million will be spent improving streets, gutters, sidewalks, storm drains and other ancillary issues throughout the Eastside. 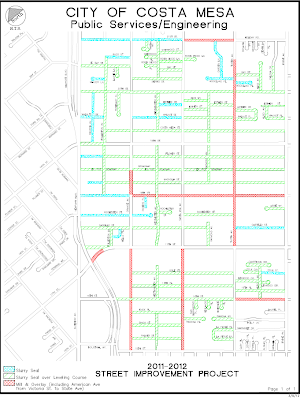 The area involved is bordered by Newport Boulevard on the west, Irvine Avenue on the east, 21st Street on the north and 15th Street on the south. The area can be seen on this image. Click on the image to enlarge it. HIJACKED BY POLITICAL OPPORTUNISTS About a half hour into the meeting it was hijacked by Mayor Pro Tem Jim Righeimer and his pal, councilman Steve Mensinger. All of a sudden they diverted the discussion to one of their pet peeves - alleys. They asked the crowd - who was not there to hear about alleys, by the way - how many thought Costa Mesa alleys needed improvement. Of course, many hands were raised, so off the discussion went. The most memorable line I recall was Righeimer saying, "Those people who come to the council meetings don't care about alleys." That was the duet he and Mensinger sang about wanting to get the alleys fixed soon. Funny, I had not realized that Righeimer was clairvoyant - that he could read the minds of the folks who take the time out their busy lives to attend council meetings. Of course, he can't - that was just another fabrication to suit his agenda. 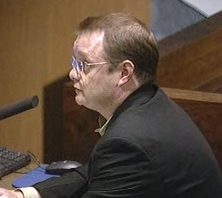 He also told the group that the city was trying to put together a $134 million budget. Wrong! Once again he plays fast and loose with numbers. The actual Preliminary Budget was $132 million and change. But, then, what's a couple million between friend, right? That's how he put together his wish list that he is now demanding the staff to budget for. He just pulls numbers out of the air and hopes nobody will challenge him. Back to the meeting. We heard that many excellent projects will be completed on the Eastside by early next year. Besides the overall street improvements that total just over $6 million, additional jobs will be completed taking those numbers to over $8 million. They include the Broadway Safe Route To Schools Project, the Irvine Avenue Median rehabilitation and a storm drain on Tustin between Costa Mesa Street and 19th Street. Staffer Tom Banks will head up these projects and will be our "go to" guy over the next 8 months. Kudos to Munoz and his staff for a job well done. Their presentation was crisp and they were ready to answer any question tossed at them. For more information about this project you can contact Fariba Fazeli in the Public Services Department at 714-754-5378 or email her at Fariba.Fazeli@costamesaca.gov. Boos to Righeimer and Mensinger for contributing NOTHING to the evening except trying to feather their political beds. Despite being disrespected by Jim Righeimer at the Study Session yesterday, Costa Mesa's Finance and Information Technology Director, Bobby Young, just keeps soldiering on. Today he and his staff posted two items of interest to those of you who actually follow the budget tribulations each year. 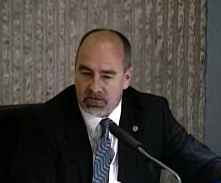 Now available for viewing on the City web site is the 2012/2013 Preliminary Budget. This is the work product of literally thousands of staff hours in recent months and forms the cornerstone of all municipal activities for the twelve months beginning July 1, 2012. You can read it HERE. Also available is the presentation Young attempted to make to the City Council Tuesday. I say "attempted" because our part-time, part-time petulant, infantile mayor, Eric Bever, cut him off short because he just had to begin the Special City Council meeting that was posted for 7:00. Apparently our highly-paid labor negotiator had some kind of a conflict - probably had to catch a plane to some exotic place to spend our money! So, after CEO Tom Hatch used fifteen minutes to explain to the council that the Preliminary Budget WOULD NOT meet all their "wishes and dreams", Young was left with only fifteen minutes to present this very, very important document. Part of that time was used up by Righeimer in his rant to staff. You can view Young's presentation HERE. And, just for some context, you will recall that Righeimer pulled numbers out of the air for the "5-year plan" and - as I told you at the time and a couple times since - is apparently now going to hold the staff's feet to the fire and expect them to turn water into wine. You can view that plan HERE. He wants EVERYTHING on that wish list in the budget, then he and his co-conspirators on the council will worry about balancing it. Of course, if Young does that it will mean a deficit in the area of $12 - $15 million. The ONLY place to find that kind of money is in salaries and benefits. The council will next hear about the budget perhaps as early as the next council meeting on Tuesday, May 15th. More likely it will be presented at the special Study Session on Thursday, May 17th. It's going to be a bloodbath! You know, for a long, long time I thought that Costa Mesa City Councils made bonehead moves due to the time of evening - that as the clock moved steadily toward midnight the chances were greater that one or more of the members would make a stupid decision. Well, Tuesday night I learned that the hour of the day (or night) probably has nothing at all to do with it. Nope, Tuesday I learned that, as Forrest Gump said, "Stupid is as stupid does." More on that later. At the Study Session that began at 4:30 Tuesday the council was scheduled to consider three items - the I-405 Improvement Project; the SR-55 Improvement Project and the Preliminary 2012-2013 Budget. They managed to only get to two of the three and barely covered the budget at all. As anticipated, the first item on the agenda, the I-405 Improvement Project, drew a large crowd. At the beginning of the meeting I counted 50 residents and that number grew to around 70 before the discussion was completed nearly two hours later. In an unusual move, Mayor Eric Bever chose to permit public comments on this item both before and after the Orange County Transportation Authority (OCTA) presentation. That may have been the last good decision he made Tuesday night. The presentation, which probably was anticipated to last an hour, went on and on and on and the more the discussion progressed the more peeved the council members seemed to become. And that situation was exacerbated by two factors. First, OCTA CEO Will Kempton stepped up to apologize for having to depart early because it was his anniversary and he didn't want to be late for dinner. 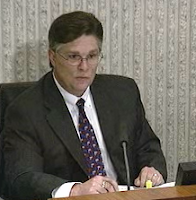 Then Niall Barnett, OCTA Project Manager, told the council and audience that there would be three Public Hearings in June on this issue - one each in Westminster, Rossmoor and Fountain Valley - but none in Costa Mesa! It seems the OCTA staff was unable to locate a venue that could accommodate 200 participants in Costa Mesa. That's hard to believe since several rooms at the Neighborhood Community Center would fit that bill. And, we have OCC and Vanguard University that might have a large enough venue, too. They're going back to the drawing board to try to make something work. It was clear to me that the OCTA staff severely underestimated the opposition to their favored plan. We hope that better options are found before the OCTA Board hears this issue, sometime in July. Because that issue dragged on, following a break Bever decided to shove the SR-55 Improvement Project off to a later Study Session and immediately launched the discussion of the third agenda item - the Preliminary 2012-2013 Budget - at 6:30. CEO Tom Hatch began the presentation - for which he and Finance and Information Technology Director Bobby Young now had a scant 30 minutes to make because a Special City Council Meeting had been called for 7:00 - by delivering what he apparently thought would be bad news. As it turned out, the real "bad news" was yet to come. Hatch began by telling the council, who had just received the document an hour or so earlier, that it isn't a balanced budget - it anticipates using just over $260,000 from the fund balance - but he anticipated achieving a balanced budget as subsequent meetings this month took place. He then told them that it might be worse because it includes $800,000 in income anticipated from the now-defunct Redevelopment Agency. If it turns out that the state snatches that money back to Sacramento, then the projected deficit will be around $1million. 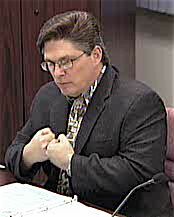 He then told the council that $2.4 million included in the budget is from the dissolution of the A.B.L.E. 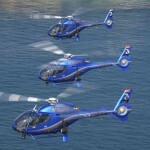 helicopter program, and would come from the sale of the three aircraft and from funds from A.B.L.E. that will be returned to the city. He said it would be used for capital improvements. The final bit of bad news he had for the council was that it did NOT meet the councils capital improvement wishes as described in the pie-in-the-sky (my term) 5-year plan. I've spoken about that before - Righeimer pulled numbers from the air earlier this year and, as I predicted, expects the staff to find budget dollars to meet it. Righeimer immediately pressed Hatch for a number - how big a gap is there? Hatch was unable to give a credible number, but Righeimer persisted and Hatch finally said there would probably be a $4-6 million shortfall, and that these issues could be discussed at meetings planned for May 17, 24 and 29 - and maybe more, too. By this time it was now 6:45 and Bever was adamant that Young would have only 15 minutes to present the Preliminary Budget! I know for a fact that the staff has been working long and hard to try to come up with this budget presentation. It was, literally, hot off the presses. In fact, the staff report that he was going to present was still warm to the touch when it was distributed at the meeting. BUDGET UP 15% - CAPITAL IMPROVEMENT UP 93%! So, Young gave it his best shot but it wasn't good enough for the council... more in a minute. He began by telling the council that the preliminary All Funds Budget would be $132,387,846 - an increase from the current year budget of $17.5 million (15.20%). 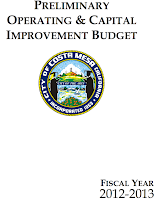 The Capital Improvement Budget is $20,146,936 - up $9.7 million (92.81%!). The General Fund Budget is projected at $101.4 million, up $6.7 million from last year. Young told the council that it includes the following items: Budget Contingency (that's Hatch's slush fund) - $1million; Unfunded Liability - $500,000; Building Modifications and Park Maintenance - $500,000; 15 Streets Paved by City Staff - $1.2 million; General Plan Update - $200,000 and the Addition of a City Labor Negotiator - $100,000. The council was not happy, but it got worse. Young then told them specifically what was NOT included in this budget. His short list included: Information Technology Improvements; Citywide Alley Improvements; Citywide Drainage Improvements; Fairview Park and Sports Fields Improvements and Unfunded Medical Reimbursement Liability. I could almost see the steam building in the heads of some of the council members. Finally Righeimer just blew a gasket. He went on one of his now-predictable rants complaining that all the items on his wish list (my term) were not in the budget - that staff just made a choice not to include them, and said, among other things, "This is not what the council asked for. We're not asking you to balance the budget..." He went on to say, "What I want to see in this budget, before we come back, going forward, is all the items in there and this council can decide what has to be taken out of there, not staff saying we have a two or three hundred thousand dollar problem." As it turns out, that Special Meeting Bever was so paranoid about opening at 7:00 sharp could have been delayed as long as the council wanted. At least, that's what contract City Attorney Tom Duarte told them when asked. It seems that the real problem was a scheduling issue with the labor negotiator! And then Bever botched up the opening of the meeting. He failed to have the item read into the record, didn't take roll, didn't hold the pledge of allegiance to the flag and was saved a smidgen of embarrassment when acting Deputy City Clerk Christine Cordon asked if she could read the item into the record. And all this happened around 7:15 - not midnight. So, you see - the hour of the day alone does not bring out the incompetence of our leaders - they act stupid at any time of day or night. Geez, do we deserve better than this! Let me say right up front and un-apologetically that I'm a big supporter of law enforcement. I understand and admire the hard work they do to keep us safe. I personally know many police officers - my best friend since we were five years old was with the Los Angeles Police Department for 31 years before retiring. Through him I know many officers from many jurisdictions. I consider many current and former members of the Costa Mesa Police Department as friends. Former LAPD chief Daryl Gates was a friend. Heck, I went to high school with Los Angeles County Sheriff Lee Baca. That being said, the incident in Fullerton nearly a year ago that took the life of Kelly Thomas, a homeless man, has caused me much distress. 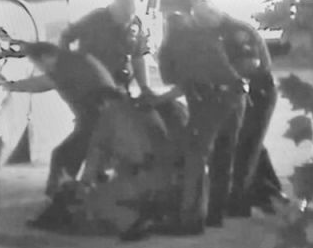 The trial of two Fullerton police officers began this week and the tapes of the event are now available for viewing. Let me tell you, watching them is VERY painful. I'm providing these tapes for you to watch if you choose to do so. I suggest that you NOT permit children to see these tapes - they are much, much too powerful. There have been many things written and said about this incident. I've tried to stay abreast of the news as it occurred. I've read most of the local things - newspaper articles, blog posts, etc - and heard local radio commentators rant about this case. 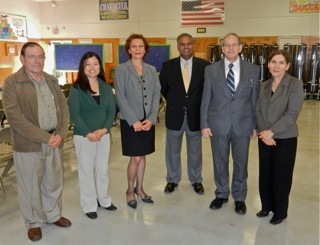 You can read a recent Orange County Register story HERE. It also includes a link to a short video of the event. It has a slide show of still images, too. You can read Greg Diamond's piece in the Orange Juice Blog HERE. He includes a link to the longer, un-edited version of the tape. And, you can read a piece from the Voice of OC HERE. This is a very troubling event and, as you watch the tape, you'll probably come away feeling the same way. It may cause some of you to unfairly indict ALL police officers and to make you distrust them. That's a shame. This event has long tentacles. It may cost three Fullerton City Council members their positions - a recall effort is in progress. 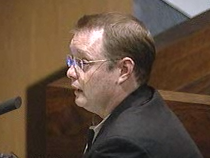 One of those men was the former Police Chief for Fullerton before he ran for City Council. Here is the short, almost 9 minute, tape. This one has better audio clarity, but compresses events and, in my opinion, distorts it a little. It will certainly evoke emotion from anyone viewing it. This tape is the longer, 33 minute unedited version. The audio is a little more difficult to hear in the beginning but watching this through to the end will tear your heart out. 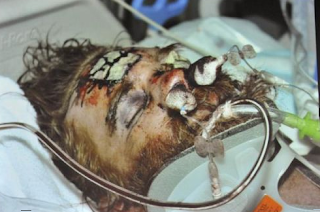 You watch Kelly Thomas, handcuffed and incapacitated, on the ground surrounded by at least a half-dozen officers as the blood pool from his wounds grows. 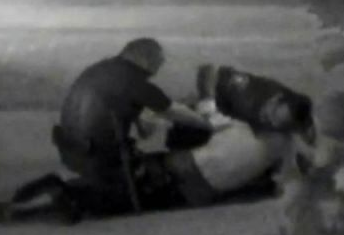 You'll hear the firefighters/paramedics express concern about placing him on a gurney on his back for fear that he would aspirate his own blood. Again, this should not be viewed casually. You will not forget the images once you see them. The sound of Thomas crying out for his father while being subdued is going to ring in my head for a long, long time. I don't know what the outcome of the trial will be. 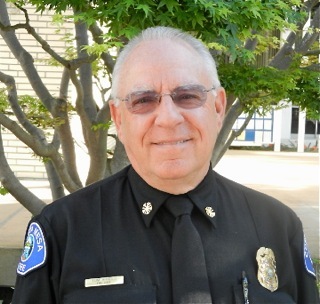 I do know that this event has caused huge changes in Fullerton and will likely cause other municipalities and police organizations to more carefully assess their policies. Just a little reminder for you about the next couple days in Costa Mesa. Tomorrow, Tuesday, May 8th, the City Council will hold a Study Session at 4:30 in Council Chambers. I wrote about that in a recent post, HERE. 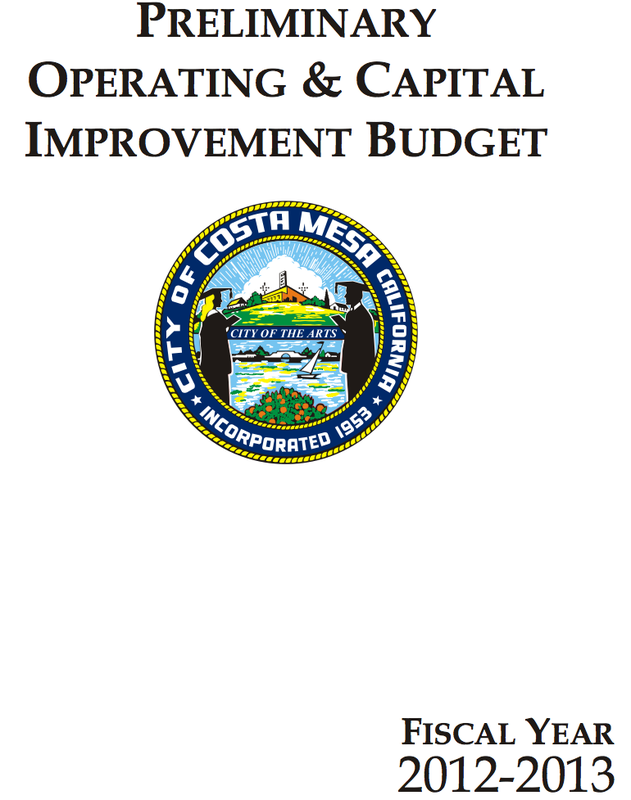 There are three big items on that agenda - the proposed I-405 Freeway expansion in north Costa Mesa; the proposed improvements at the current end of the SR-55 Freeway at 19th Street AND a preliminary peek at the 2012-2013 municipal budget. I expect there will be much public interest for this meeting, so don't be late. Wednesday, May 9th, at Kaiser Elementary School, 2130 Santa Ana Avenue, the city staff will present a discussion of the pending street improvements planned for the Eastside of our city. You can read more about it HERE. This meeting starts at 6:00 in the Multi-purpose room and residents interested in how more than $6 million in Gas Tax and Measure M funds will be spent on our streets over the next few months are encouraged to attend. Next week, on Tuesday, May 15th, the council will hold a regularly-scheduled meeting and, although the agenda for that one has not been released yet, based on preliminary conversations over the past couple weeks, it should be loaded. It wouldn't surprise me to see that one stretch into Wednesday morning. More on that one when the agenda is available. So, mark your calendars - it's going to be a very busy May in Costa Mesa. Oh, yes.. kudos to all who participated in the OC Marathon yesterday. More than 18,000 runners were out there smashing asphalt and having fun.